This is my healthy version of Tostada’s but you can use the same concept for a burrito or taco. Nothing in here is fried and there is no added lard or fat in the beans. 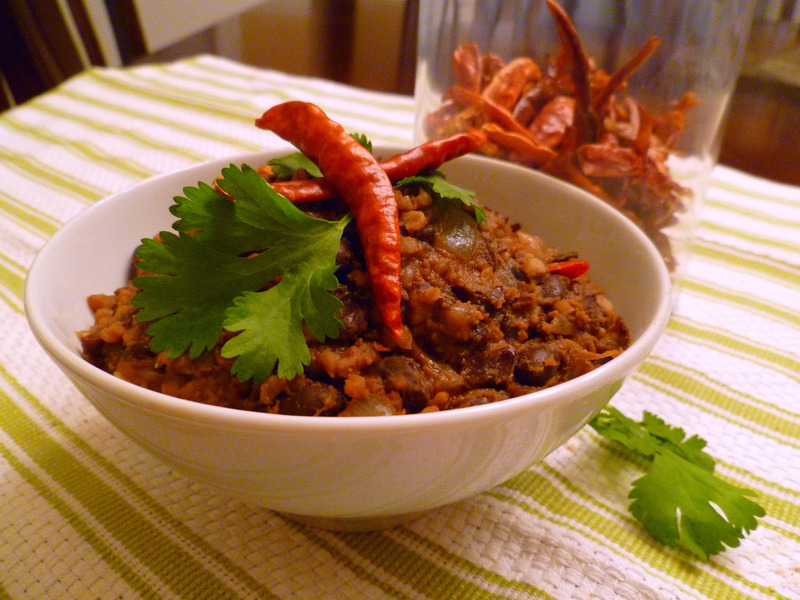 This is a simplied version using canned organic black beans and corn to keep the time you spend in the kitchen to a minimum. 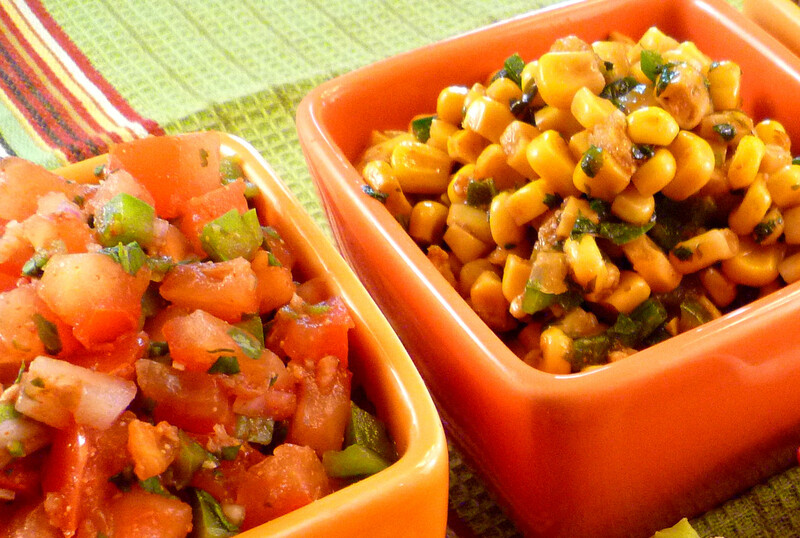 However, you can easily substitute dried beans and fresh corn cut off the cob if you have a hankering. Preheat oven to 425 degrees (400 degrees on convection). 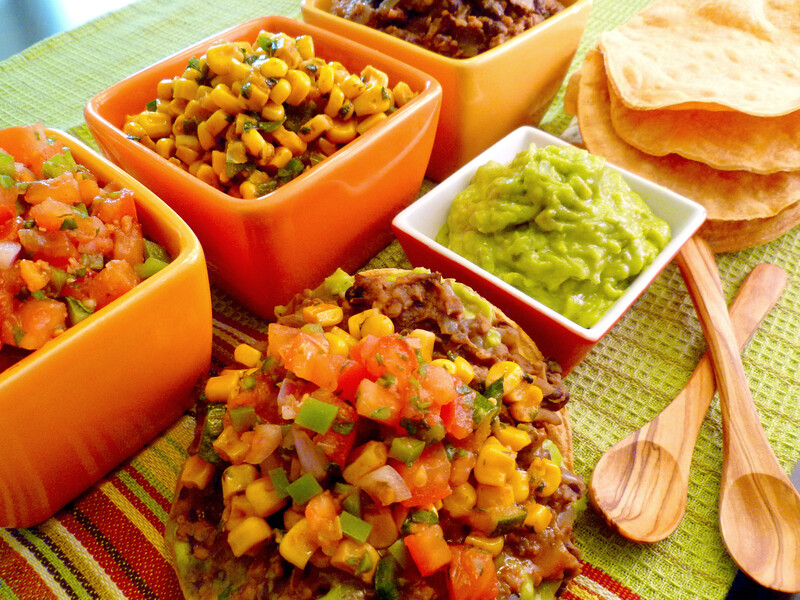 On a large baking sheet or clean counter lay out the desired number of corn tortilla’s you wish to use. Brush lightly with olive oil on both sides of the tortilla then take a paper towel and lightly dab each side. Take the first 7 spice ingredients (cumin-garlic powder) and mix in a small bowl. Set aside. Heat olive oil over medium heat in a large 4 quart pot or braiser. Add onions, turn to medium low and saute for 10 minutes. Add in 1/2 tsp salt then continue to saute for another 5-10 minutes until translucent and greatly reduced down. Add in drained and rinsed beans and the spice mixture you made in step 1. Mix well and continue to saute for about 2 minutes, stirring beans to keep them from sticking to bottom of pan. As you mix them around, delicately mash a few down. Add the chopped and whole chili’s, broth and bulgar wheat. Bring to boil then reduce heat to a simmer. Simmer for 10-15 minutes or until the broth is mostly absorbed and the bulgar wheat is soft. Make sure to keep an eye on it and stir frequently especially as the broth is absorbed. 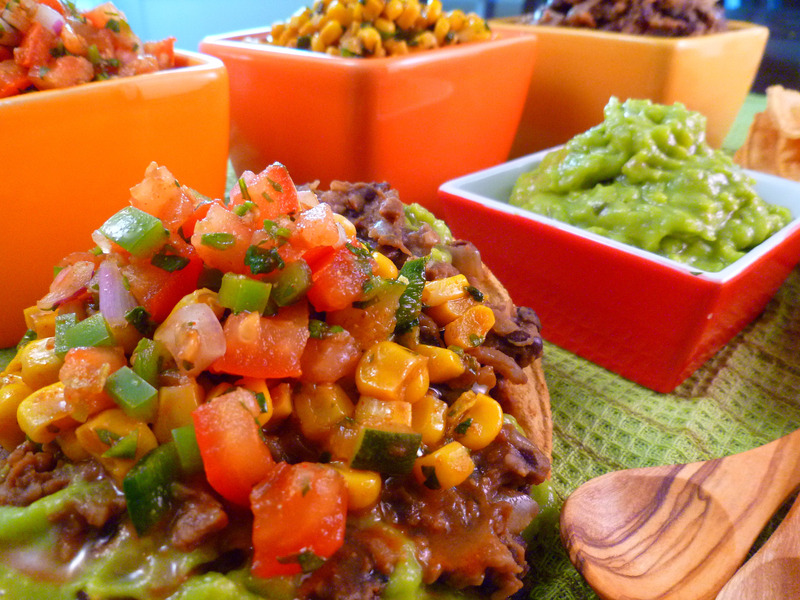 Serve over baked corn tortillas with your favorite toppings. This is a blend of spices you can use in place of packaged taco seasoning. I make this mix then put it in a small glass jar so I have it on hand when I need to spice up Mexican dishes or other things like omelettes and popcorn. In large skillet or medium saucepan over medium heat, add olive oil. Add garlic, zucchini and poblano pepper and saute until veggies are crisp tender. Add Vogue Vegetarian Mexican Spice Mix, oregano and cumin. Saute for 1 minute then add cilantro leaves. Saute a few seconds then add the drained corn. When corn is heated through, turn off heat. Season with a little salt if desired. Mash avocado with masher or fork. Spread the Avocado Butter on the tostada. Spread the Un-Refried Beans next. Enjoy with your family and favorite friends! Wow that is a feast! It is similar to my saturday night nachos feast I do every weekend, yours has more extras though, will be trying your spice mix next saturday!! If you make the spice mix, let me know if you make alterations. Would love to see how others enjoy it!